IFC Films have debuted an entrancingly heartwarming US trailer for their new romance-drama Your Sister’s Sister. 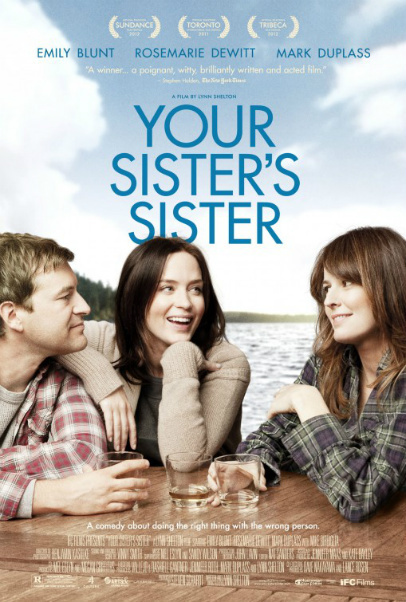 Directed by Seattle-based filmmaker and mumblecore advocator Lynn Shelton (Humpday), Your Sister’s Sister stars Mark Duplass (Cyrus), Rosemarie DeWitt (Cinderella Man) and Emily Blunt (The Devil Wears Prada). Struggling to overcome the death of his brother, Jack is sent to a remote cabin by his best friend Iris. Upon arriving, he runs into Hannah, Iris’ half-sister, and the two drown their respective sorrows over a bottle of tequila and a drunken tryst. When Iris arrives unexpectedly the next day, however, they must act as though nothing happened. Your Sister’s Sister makes its way to both US and UK cinemas (June 15 and June 29, respectively) almost a year after premiering at the 36th annual Toronto International Film Festival to overwhelmingly positive reviews from critics and audiences alike.